Sweet spice, cocoa and cream vanilla notes with wild strawberry reduction and a touch of wood smoke. The palate is mouth-filling, dense, pure and lithe. Tannins are again completely absorbed into the wine and go hand in hand with beautifully judged freshness. Candied red berry fruit with sensational poise and restraint encompass this sensational Mouton. One for the ages. Drink 2022-2050. Lisa Perrotti-Brown MW, Wine Advocate (97-99 points) "The 2017 Mouton Rothschild has one of the highest percentages of Cabernet Sauvignon ever at 90%, with 9% Merlot and 1% Petit Verdot. Very deep purple-black in color, the nose is already singing of crushed black currants, warm blackberries and chocolate-covered cherries with hints of violets, star anise, cinnamon stick and cloves plus wafts of pencil lead and unsmoked cigars. Medium-bodied, wonderfully delicate yet intense in the mouth (gaining some richness in the mid-palate on my second taste two and a half weeks later), it has super fine-grained, smooth tannins and incredible freshness, finishing very long with tons of tightly wound layers. Wow. This vintage is going to be very long-lived in the cellar!" 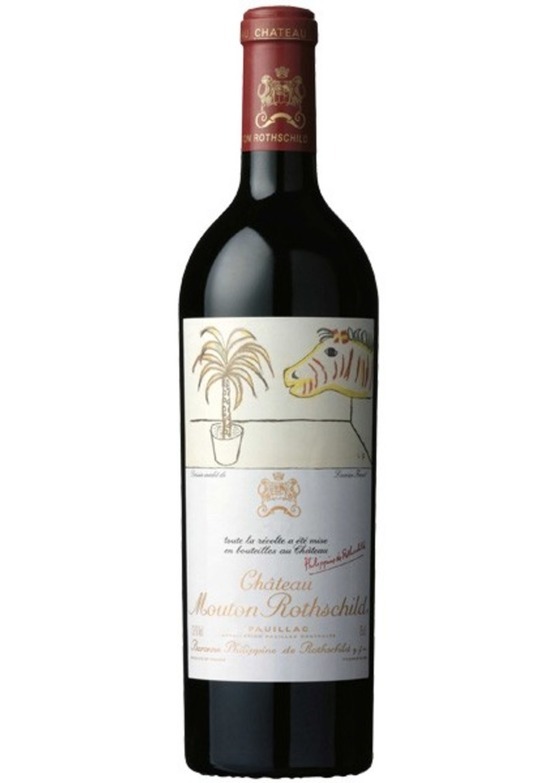 Neal Martin, vinous.com (94-96 points) "The 2017 Mouton-Rothschild was picked from 7 to 29 September and matured in 100% new oak. This First Growth is driven by the Cabernet Sauvignon, as you would expect given the high percentage, expressive pencil lead and cedar that infuse the slightly introspective black fruit. Dare I say that it actually reminds me of Latour in style? The palate is medium-bodied, finely tuned and precise, a more masculine Mouton-Rothschild compared to the last three vintages, fresh with a sustained, lightly spiced finish that lingers in the mouth. That backbone is accentuated more during my second visit in mid-April. It is a cliché but this Mouton-Rothschild is unashamedly classic in style, perchance le petit frère of the 2010 Mouton-Rothschild that also contained a lot of Cabernet Sauvignon (though before you search the archives, yes, the 2011 and 2012 contained the same proportion!) 2022 - 2050"